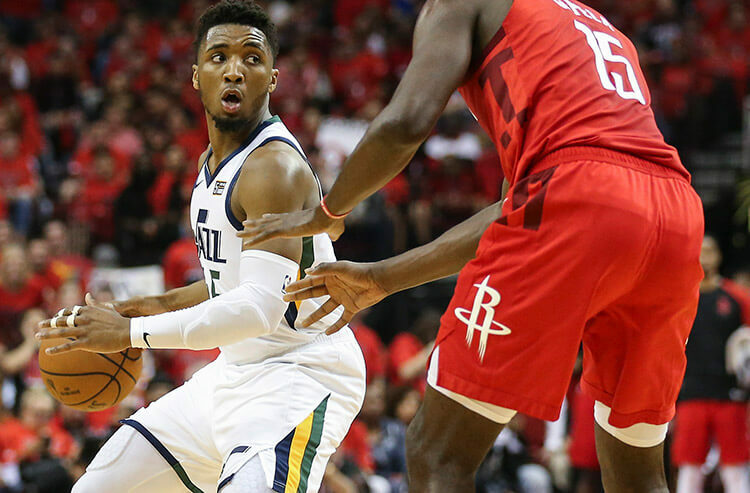 With the Round of 64 kicking off today for March Madness, don’t forget about today’s NBA card which looks to be very high scoring, with no game total lower than 218 and two totals of 230 or higher. We’re here to bring you the must-read notes from around the Association to help you make the day’s best wagers. The Hornets have won 17 of the most recent 24 games versus the Timberwolves, including five of the last six at home. Charlotte shooting guard Nicolas Batum is in a favorable spot today versus a Timberwolves squad allowing 24.6 points, 6.4 boards, and 5.1 dimes to opposing shooting guards. In their prior meeting this season, Batum shot 7 of 17 from the floor, including three of six from beyond the arc, with seven boards and eight dimes. Look for his success to continue and back Over his points, rebounds, assists total of 20.5. The Nuggets are 8.5-point road favorites as they travel to Washington to take on a Wizards team they have won 10-of-15 meetings against. The average halftime score has been 55-53 for the Wizards over their most recent three meetings. 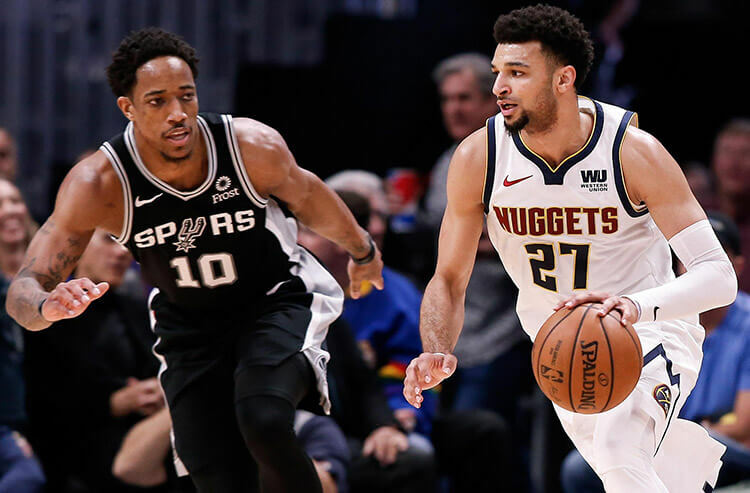 Neither team has been efficient early on in games, and the under has been a profitable play for both hitting in four of the most recent five in the head-to-head, and 11 of the Nuggets most recent 12 overall. Bet the first half total Under 114.5. The Pistons have covered the spread in 12 of the most recent 13 games versus the Suns. Today Detroit are 7-point road favorites and have won seven of the last eight at Talking Stick Resort Arena. Every game matters from here on out for the Pistons as they are currently in the sixth spot in the East, but only six games separate sixth from eleventh in the standings. Look for Detroit to take care of business versus a Suns team very short handed in reserves with key players Kelly Oubre Jr. and Tyler Johnson out with injuries. Back the Pistons on the 7-point spread. Dallas have struggled on the tail end of back-to-back’s this season, losing all 10 this season. 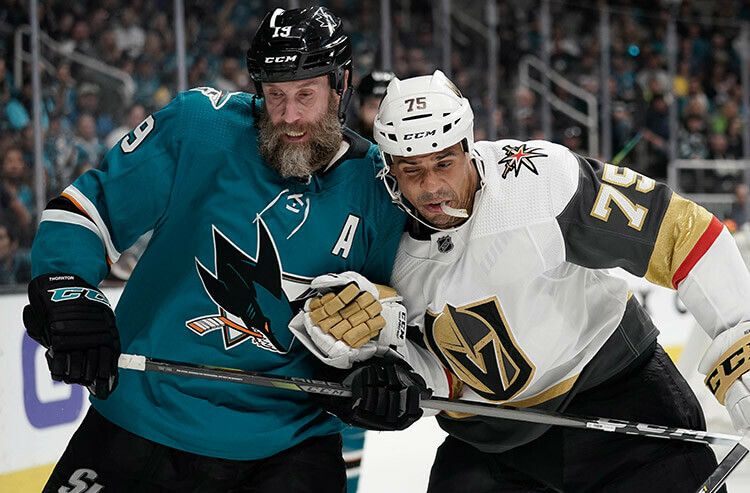 Today, they are 9-point underdogs as they take on the Kings who have won seven of the most recent 10 in the head-to-head. 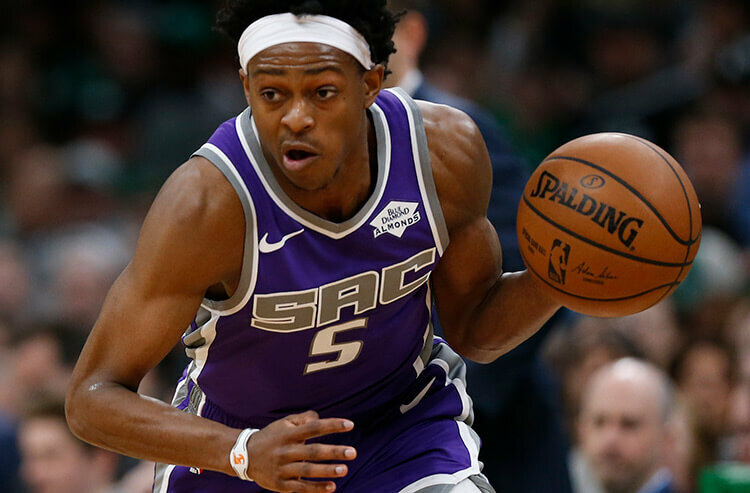 The Kings have been one of the highest scoring first half teams all season, averaging 60 points over their most recent three games. Throughout the last 10 games versus the Kings, the Mavs have been held to an average of 49 first half points per game. Take the Kings to get out to an early lead, and back them on the first half spread of 4-points. The Pacers have had their share of road struggles recently, losing five straight games. Today, they take on a Warriors team who have won eight of the last 11 in the head-to-head at home and will be happy to have DeMarcus Cousins back after sitting out two straight. Indiana’s Thaddeus Young is in a favorable position today versus a Warriors squad surrendering 22.6 points and 15.9 boards to opposing centers. Young has logged 10 rebounds in two of the last three games and should be able to capitalize off some missed shots. Back Over his points, rebounds, assists total of 21.5. WANT EVEN MORE FREE NBA BETS FOR TONIGHT? SEE WHO OUR COVERS EXPERTS ARE ON!